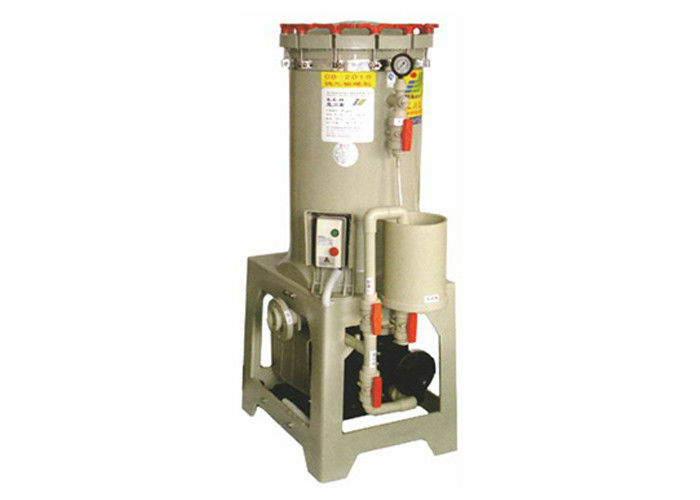 The chemical filtration chamber are with single open ended or double open ended depth type, wound, pleated, melt-blown, or carbon cartridges. 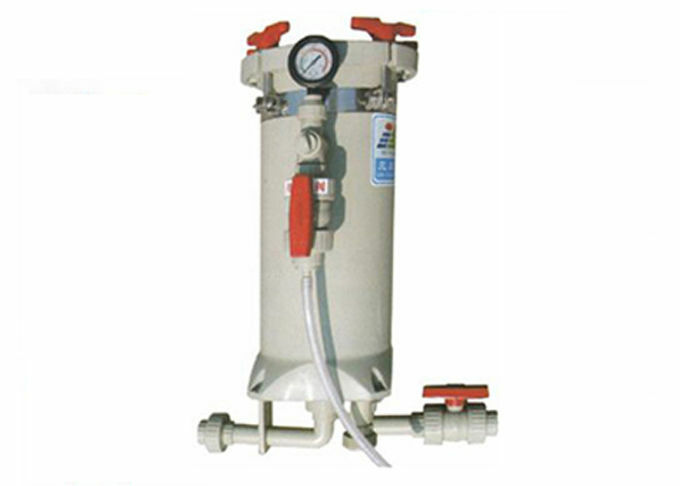 Our range of filter chambers also includes those that accept horizontal disc, bag, bulk resins and carbons. Materials of construction range from PVC to FRPP, PVDF. 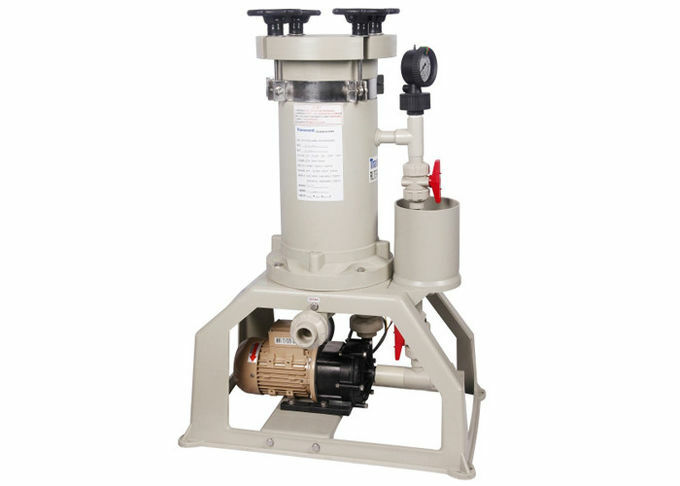 For applications from sulfuric acid to seawater and with flow ranges from 1 to 13,000 gpm and pressure ratings to 300 psi, nearly every liquid purification and liquid filtration chambers application. Inlet/outlet port size 2" 2" 2" 2"
PVDF, which features heavy duty construction, chemical, acid/alkali resistance.